Footwork gestated in its native Chicago for over 15 years before the rest of the world caught on. Now, it’s stage is global, and Traxman knows it, says Steph Kretowicz. Cornelius Ferguson, otherwise known as footwork producer Traxman, trades on disparity. That’s not to say that his output is inconsistent but rather that in his extensive, though mostly obscure, catalog, contrasting elements are key. Take “Hold It”, from his latest Tek Life Vol 3.: The Architek LP, as an example: an erratic syncopated beat runs over a refrain of Bernard Hermann’s Psycho theme as a split-second vocal loop instructs its audience to “listen.” Not only does it pull you through a violent undertow of aural stimuli but it also finds a context outside of footwork and juke’s original, highly regional, birthplace of Chicago. Here, it’s not so much a call and response interaction between a producer and his ‘footworkers’ (or dancers)—where complex, barely graspable rhythms work with and against physical movement, samples sliced and shattered as bodies curl and contort over an arrhythmic kick drum, its clipped resonance recalling the style’s origins through ghetto house and juke. Instead, Traxman is making music for the mind that is conscious of its global stage. Traxman’s Teklife Vol. 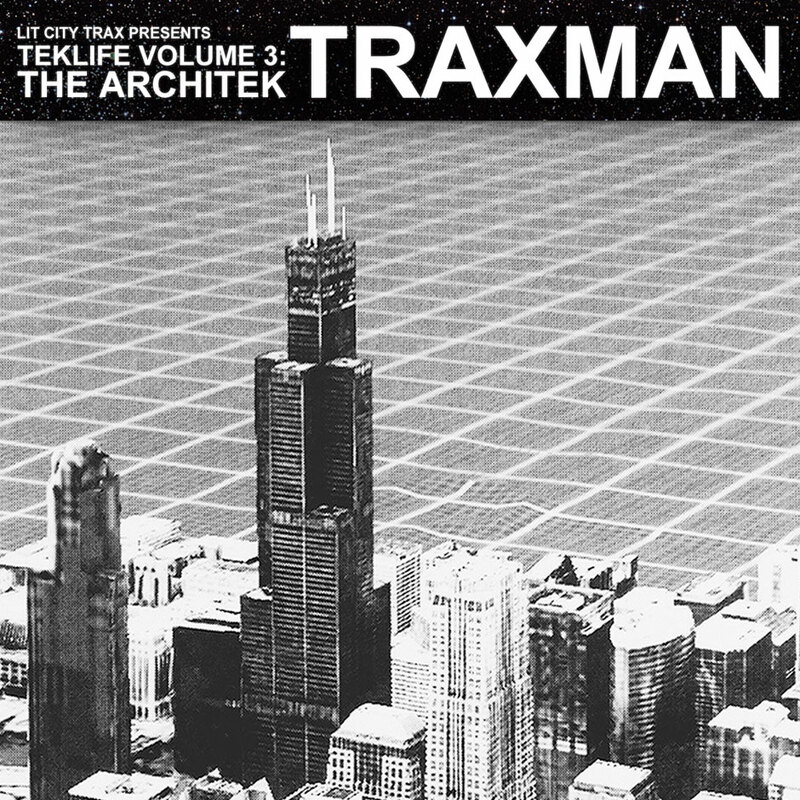 3: The Architek is out now on Lit City Trax.